The City of Bowling Green Special Olympics “Toppers” Flag Football team (comprised of 8 Bowling Green athletes and 2 Russellville athletes) recently competed in the 2018 USA Special Olympics Games in Seattle, WA. 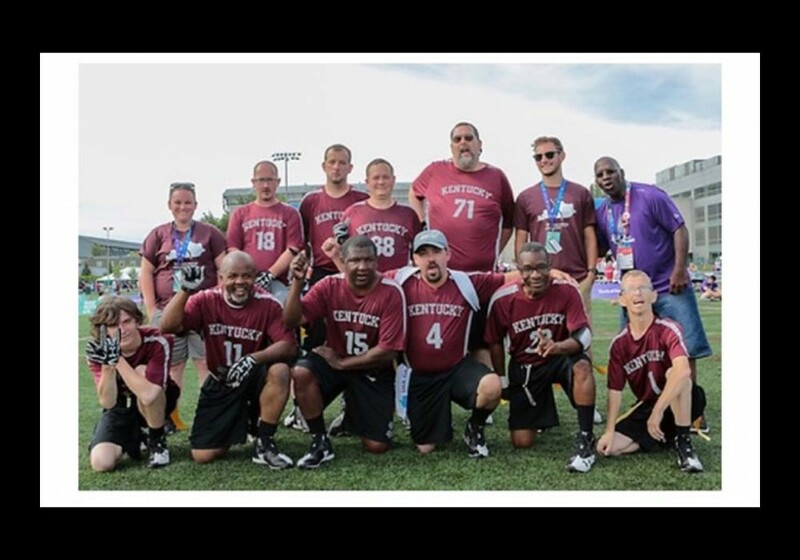 The City of Bowling Green Special Olympics “Toppers” Flag Football team (comprised of 8 Bowling Green athletes and 2 Russellville athletes) recently competed in the 2018 USA Special Olympics Games in Seattle, WA. They finished the tournament with five wins and one loss and received the Bronze medal. The Toppers won the gold medal in their division of the 2016 State Flag Football Tournament last November to qualify. They are the only team from Kentucky to ever receive a medal in flag football on a national level. Opening ceremonies took place on July 1st and closing ceremonies took place on July 7th. Flag football is a version of American football where the basic rules of the game are similar to those of the mainstream game, but instead of tackling players to the ground, the defensive team must remove a flag or flag belt from the ball carrier ("deflagging") to end a down, and contact is not permitted between players which will result in a penalty for the team that initiates it. The team was led by head coach Holly Vincent, of Bowling Green. Vincent has been a Special Olympics coach for two years and has coached flag football at various levels for three years. As the Special Populations Director for Bowling Green Parks and Recreation, Vincent heads up the Special Olympics program for the City and she also coaches softball, basketball, bowling and track. This was her first time coaching at the USA or World Games level. Assistant Coach Michael Justice, of Bowling Green also attended the games. Justice is a Bowling Green Parks and Recreation employee and is in his third year coaching Special Olympics athletes. He has coached flag football for three seasons in addition to basketball, bowling, softball and track and field. Congratulations to these fabulous athletes and their coaches!